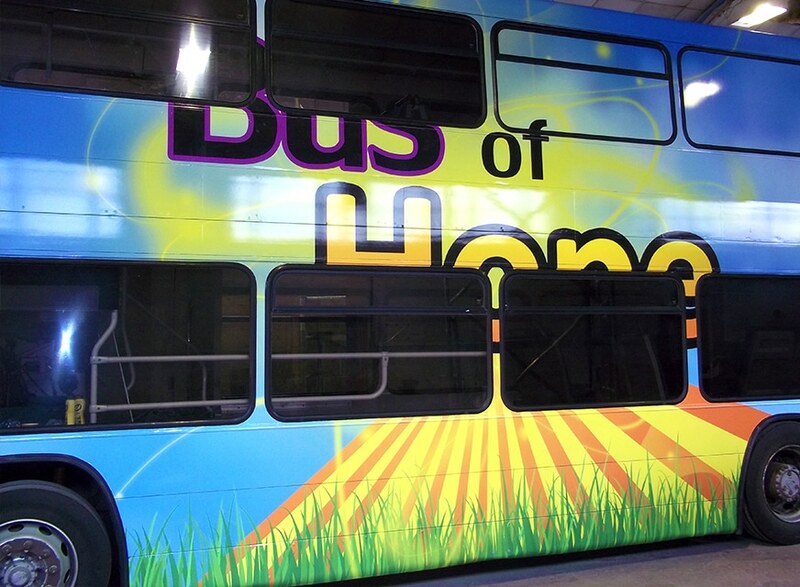 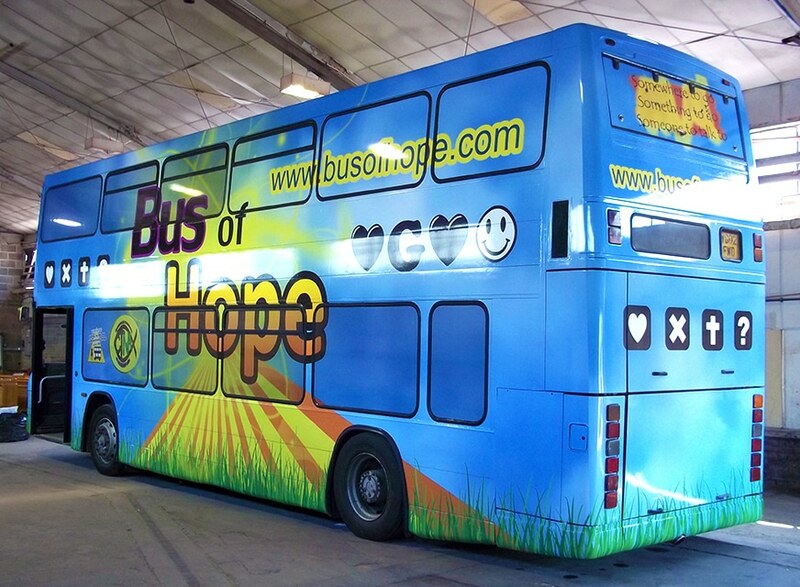 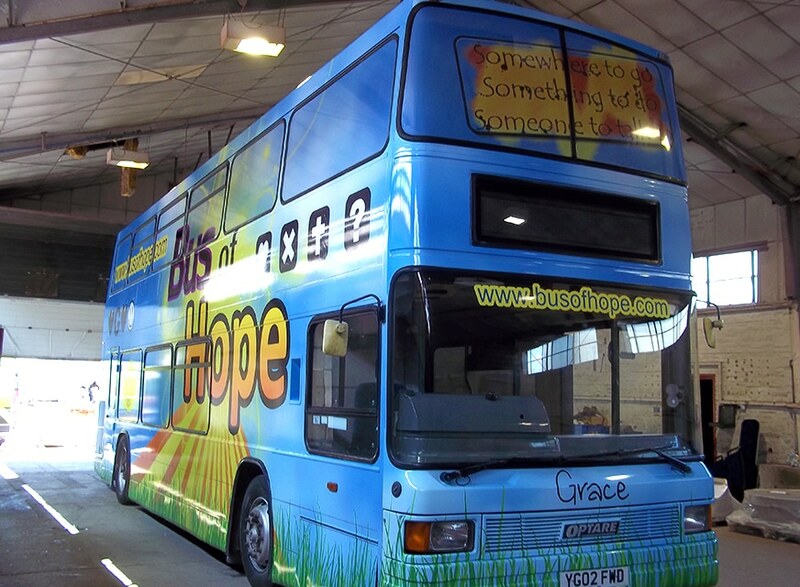 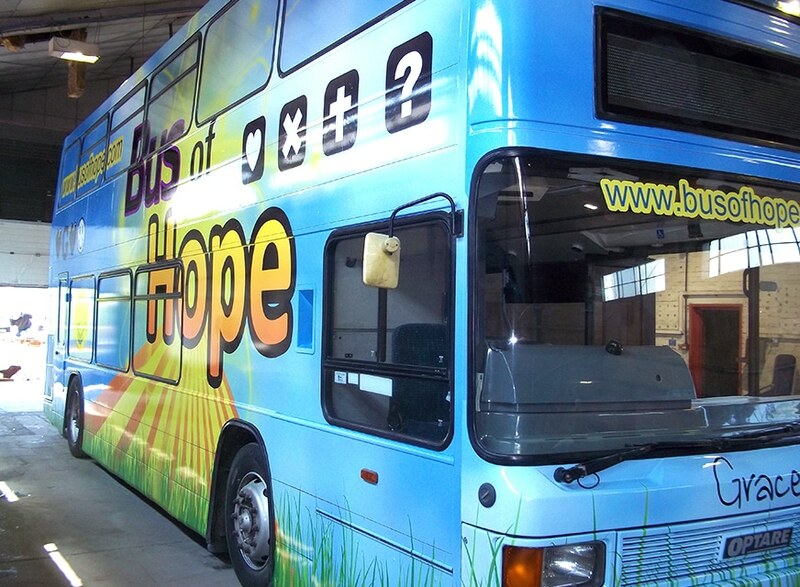 Without a doubt one of the biggest jobs we have undertaken to date was, a full digital print wrap of a double decker bus. 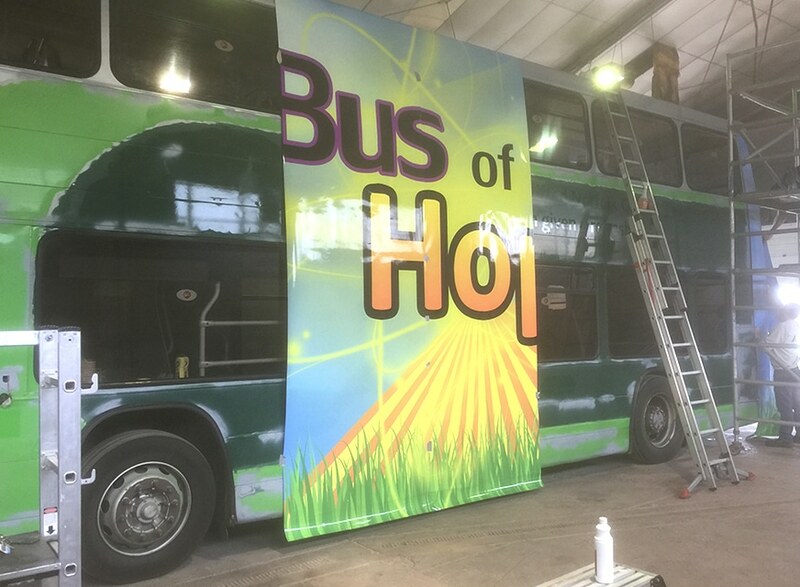 The first stage in fitting, as with most jobs in sign making, is all about good preparation. 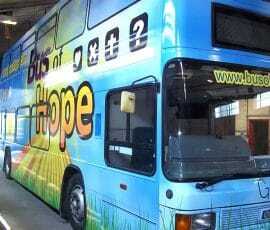 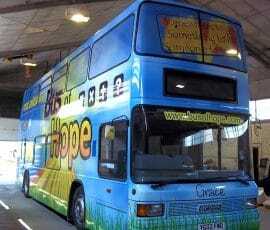 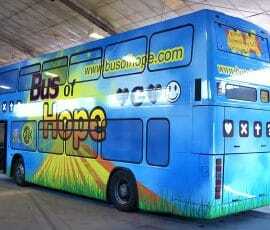 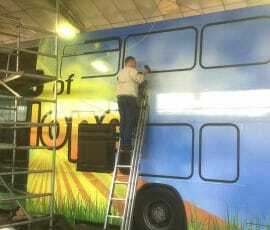 When we first started work on the bus it still had an old wrap on it. 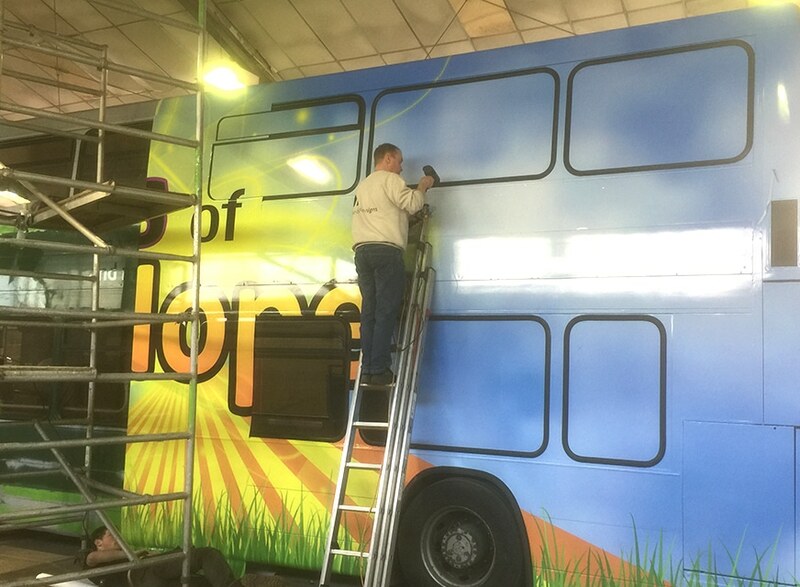 This had to be removed as applying a new vinyl to the top could cause the two layers to stretch in different places and pull away from each other leading to loose panels and possible even tears. 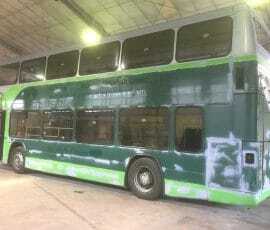 Additionally, the old wrap had been damaged in several places and some pieces were already falling off. 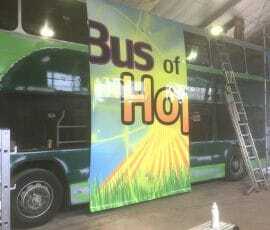 To remove the existing wrap we had to heat the vinyl up using a heat gun and peeling the vinyl away from the body work. 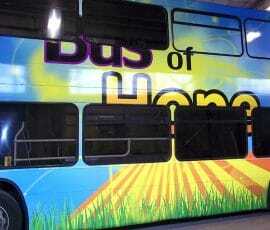 The heat helps to break down the glue and weakens the hold to the bodywork, however some glue is always left behind. 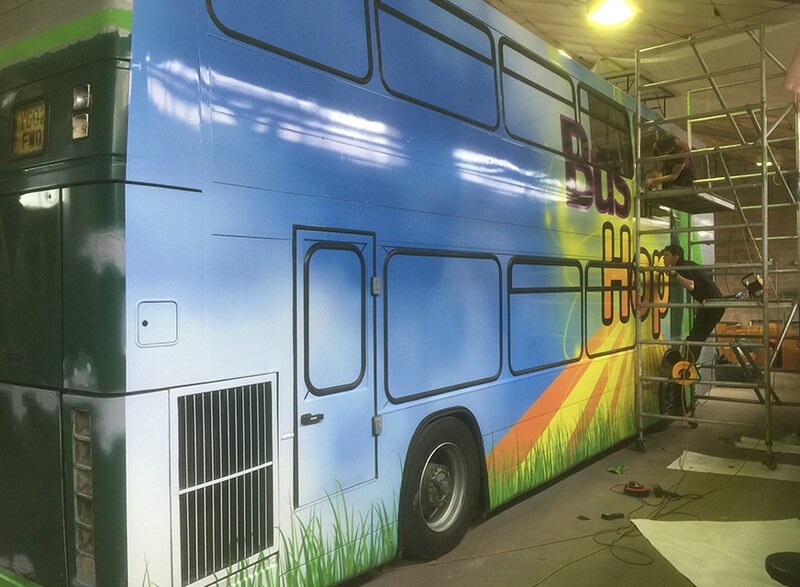 This also needed to be removed, which was accomplished with the use of a solvent spray that breaks down the glue so it could easily be scraped off. 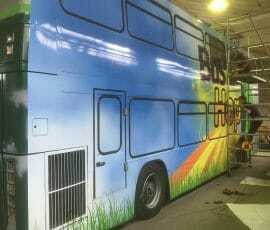 The final stage in this preparation was to give the bodywork a thorough clean to remove any dirt or dust. 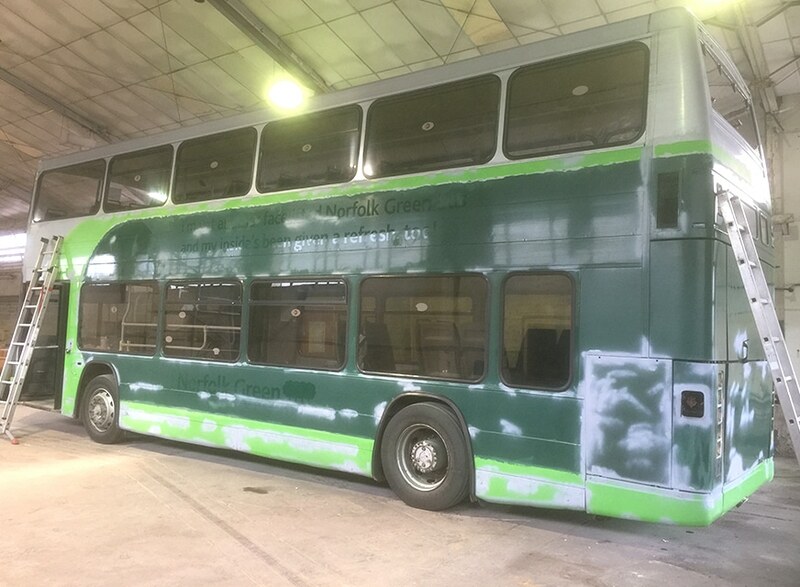 When doing this final clean it is vital to use the right cleaner, most car cleaning products you might buy in the shops are not appropriate as they often contain a polish or wax which would actually act against the glue on the vinyl and could cause the wrap to fail.